The Bulldogs have been shocked to hear of Kevin Reynolds passing. 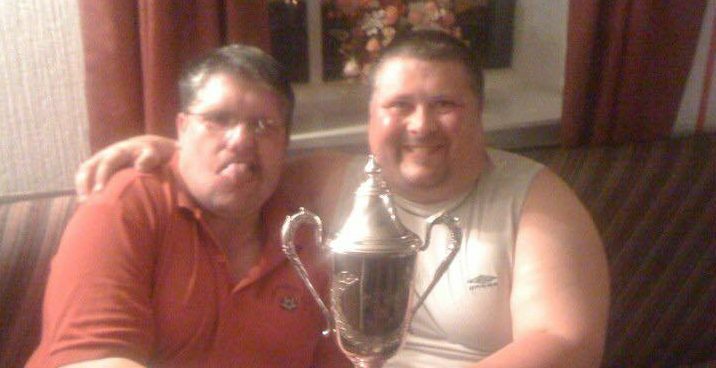 Football is full of characters, and Ton Pentre has lost a big one today (28 December) as it with heavy hearts that the Bulldogs inform you all of the passing of Kevin Reynolds. Kevin was a lifelong Ton Pentre fan and his family have been heavily linked to the Bulldogs through much of the Club’s history, from his brother Mark and father Eynon to the many family members who have helped over the decades and beyond. Kevin himself has been ball boy, kit man and a match steward. He was recognised as one of the familiar faces at Ynys Park on match days and knew many opposition players and always had a friendly chat to the match officials when they arrived. Kevin adored Ton Pentre, as did his entire family, and he would walk for miles around the Valleys delivering match posters to display in shop windows. He was also entrusted with the keys to Ynys Park and assisted not only the Bulldogs, but Ton & Gelli BC too, who also play out of the famous football ground. If you sat back at a football match or looked on in the Clubhouse afterwards, it was incredible to see just how many people Kevin knew. Everyone always said “hello” to him. This was mainly due to his popularity throughout the game but also because of the pool and darts teams that he joined with his brother Mark, which took them everywhere throughout the Valleys. Kevin and Mark were inseparable and did everything together. They had each others backs and in addition to being brothers, they were best friends. Kevin was, and always had been, incredibly upset at losing his brother back in November 2012. There is certainly some comfort in knowing that they are reunited once again. Since the news broke of Kevin’s sad passing, tributes have been pouring in via the Club’s social media accounts. 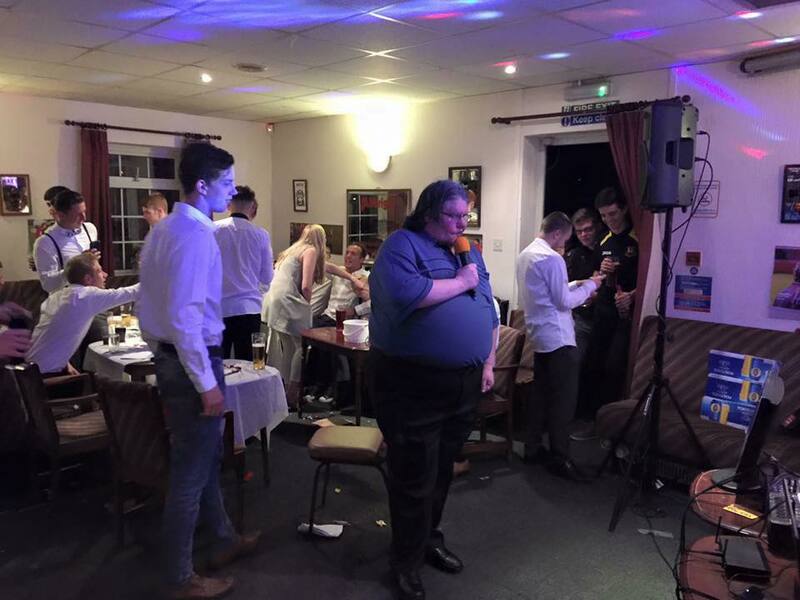 Kevin provides his rendition of Tina Turner’s ‘Simply the Best’ on karaoke at a Ton Pentre AFC Presentation Night. Following the passing of his brother Mark, the Bulldogs presented Kevin with a tribute book in his memory. Kevin always kept a copy of the book with him. 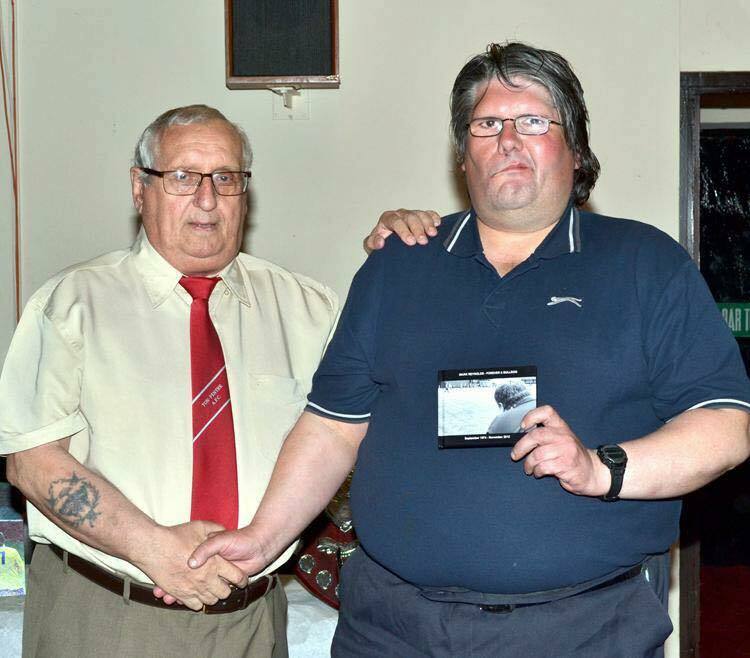 Kevin is pictured here with the late Bryan Bees, Ton Pentre AFC Chairman. If you would like to read further tributes or leave a message of remembrance please visit www.facebook.com/TonPentreAFC. 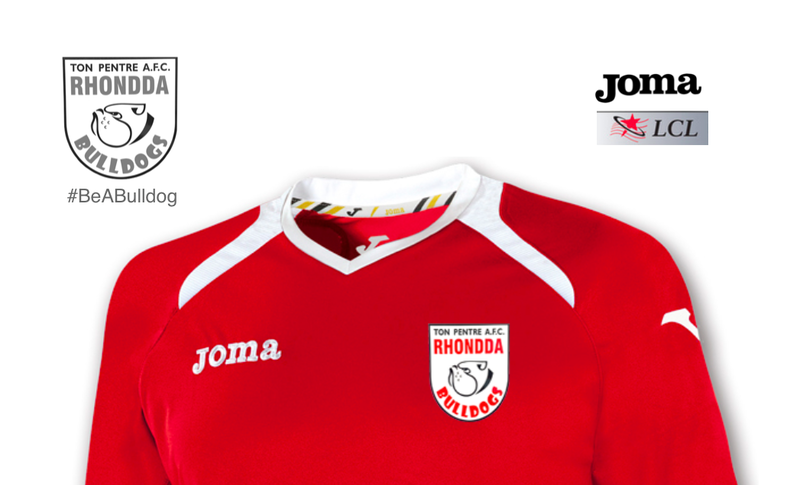 The thoughts of everyone connected to Ton Pentre AFC are with Kevin’s family and friends at this difficult time. Kevin Reynolds. May you Rest in Peace. 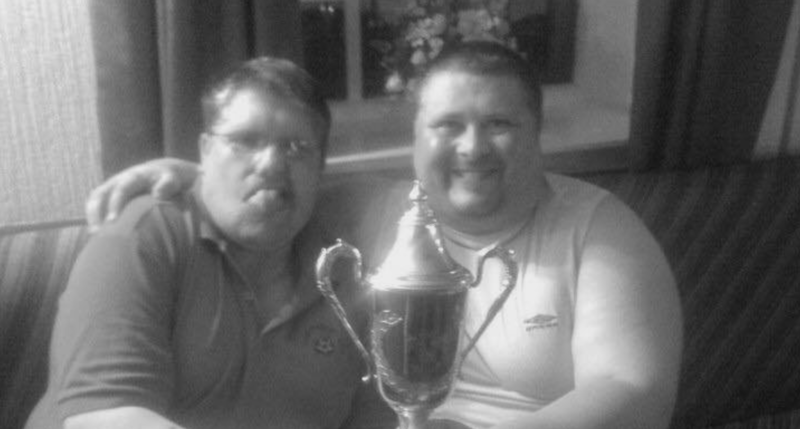 Kevin and Mark together, celebrating the Welsh League Division Two title in 2011.